Team conflict is not an inevitable occurrence, but it is quite common whenever people end up working together. What causes conflicts at work? There are a variety of sources, and each has a way they should and should not be addressed. It’s important to recognize the source of any conflict in order to deal with it properly. In general, all conflicts stem from one or more people perceiving the actions of another as hurtful, incorrect, wrong, or unhelpful. People who are involved in a workplace conflict with one another cannot see things from the other’s point of view; therefore, they feel as though they have been wronged and that the other is responsible for fixing that wrong. This sort of issue can arise from almost any situation as all that’s needed is a difference of opinions. Many conflicts in the workplace come about from similar occurrences. Here are a few of the most common reasons for team conflicts. A little bit of competition might help the team work well together, but it can also increase friction between team members. Conflicts can arise from all different types of competition. Whether employees have conflicting interests that make them compete for different goals from the team’s goal, there are conflicts over limited resources needed for different jobs, or if team members want their own individual recognition instead of team recognition, conflicts may arise. Someone who naturally has their own habits and behaviors at work will normally be opposed to another team member coming in and messing up those behaviors with their own different ways of working. This happens more commonly with new teams, as members get used to working with one another. If at any point a member of the team starts to act in a manner that’s inconsistent with normal team behaviors and expected actions, conflicts can come about between members. Over time this sort of conflict can quickly spread around to encompass the whole team, so if this is the source of your own team’s conflict you will need to address it quickly. It can happen that a team member does not contribute equally, gives consistently bad work, or generally is unmotivated about getting anything done properly. In this instance it is easy for others to become frustrated at that person and conflict can arise. Teams that don’t have clearly defined goals will often find themselves fighting about what exactly they are trying to accomplish. It is up to management and leading figures to make sure goals are laid out in a way that all members of the team can understand. Another vague working scenario that can cause problems is when team members have different ideas about how the goal should be reached. This sort of ambiguity about what should be done that comes about when clear actions are not laid out is a very frequent source of conflict in many working teams. Lack of individual and team accountability can make any of the above listed issues worse and can escalate any situation that may not have caused conflict into a full-on team conflict. While team leaders and managers cannot fully avoid conflict, it’s important to learn how to help your team get through instances of conflict before the team is torn apart and rendered use less. Learn how to recognise the source of the conflict and respond to it before it gets out of hand. Total Team Building specialise in teams…we facilitate team building programs designed to enhance teamwork, team culture, leadership, communication and collaboration. For more information about how Total Team Building can help you and your team contact us today. Everyone wants to be a part of an effective team or to lead one, but what exactly does it mean for a team to be effective? 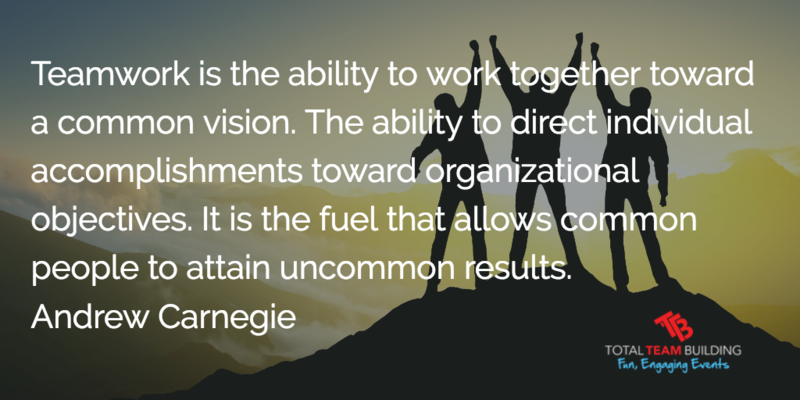 In most cases, you can assume that an effective team is one which succeeds more often than it fails. Effectiveness does not mean that there is no failure, but it should mean that the team accomplishes a much higher level of useful work than failed or unhelpful work. An effective team will make long strides towards achieving organisational goals, while an ineffective team will be slow moving or completely stagnant in terms of accomplishments. In business, the acronym SMART stands for Specific, Measurable, Attainable, Realistic, and Time-bound. Any goals you set for your team should follow this guideline and fit into every single one of the five categories. Without a clear goal and a vision for what the team is supposed to be doing, team members will become discouraged and will not be as effective at their work. Teams with clear, SMART goals are usually able to go further than any of organisational teams and will have a greater sense of unity in the pursuit of their accomplishments. Every team member should know what their purpose is on the team. There should never be any members who feel as if they are not necessary on the team or that they don’t have a useful job. If they feel this way, it’s possible that they are right and they can or should be removed from the team to make it more efficient. Define every member’s specific role and make certain that they are aware of it. You might try making an organizational flow chart or information chart to illustrate how each member fits into the team and is supposed to contribute. If you set up your team with members who are all very similar or who have similar skill sets, you cannot expect that team to excel in all areas. Create a few layers of diversity by blending together team members from a variety of backgrounds and with a complementary or opposite skills. This will help to ensure that there is enough collective knowledge to get any task done while also cutting down on unnecessary debates over small technicalities. How do your team members know what excellent performance means for their team? Will anything happen if they fail or if they succeed? Set up a system of accountability that will help your team to know that their performance is measured and that it matters. Be sure to demonstrate what great performance means and to reward great work from individuals and the team as a whole. This step can be hard to implement, but it is one of the most important to making an effective team. If you cannot set standards of performance and ensure that they are maintained, performance levels will usually go down over time. On the other hand, if you can keep team members accountable for their own performance and total team performance they will generally maintain a high level or improve over time. Just as you should pay attention to diversity, as stated in point #3, you also need to look at the team as a whole and choose members who will work well together. Teams are not just a collection of highly skilled workers thrown together. Selection of members requires more thought than that, as you want to choose those people who will work well with others and will contribute to the group rather than trying to work on their own apart from the team. It’s been shown that organizations and teams that don’t give enough feedback to their employees tend to have dissatisfied and less effective employees. To solve this problem, make sure you as the team leader are giving feedback whenever possible and appropriate. Don’t wait to an annual performance review, but give constant feedback at goal milestones, every month, or whenever you see the opportunity to praise or train a team member. Teams without collaboration are absolutely pointless. In an organization where most of the departments or employees are used to working as individuals, you will have to make it clear that your team requires some level of dependency and collaboration for success. Closed-off communication and stuffy employee relations can lead to issues with your team. Don’t let communication be the reason for team failure. Instead, promote open communication between yourself and the team as well as between individual members. You can take the lead and host team building exercises, have meetings dedicated to team communication, send out regular information, and take any other steps you see fit to help get your team talking. 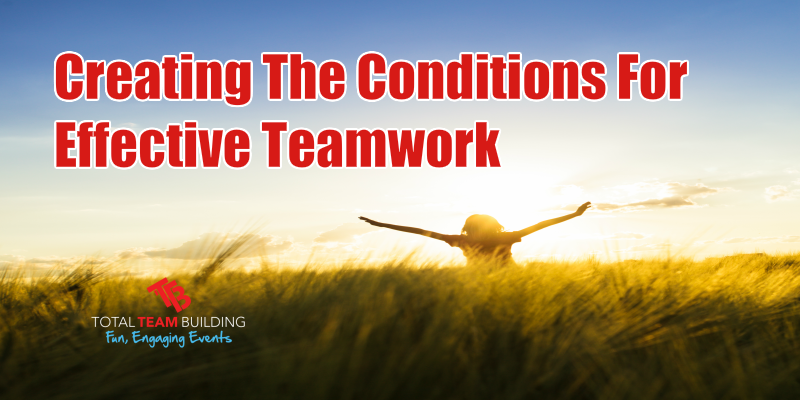 Even if you are able to create the perfect conditions for team work to be effective, you have to understand that there might still be problems and difficulties within your team. A team is made up of a lot of different pieces, none of which are perfect. This can lead to conflicts and differences of opinion that might lead to a lot of struggles for your team members. Conflict is always the most difficult part of working with teams. It can come in all shapes and sizes from personal conflicts between members to professional conflict based on idea disagreement and more. The best way to help alleviate conflicts and make them easier to get through is to continue promoting and facilitating open communication between all members of the team and with team leaders. 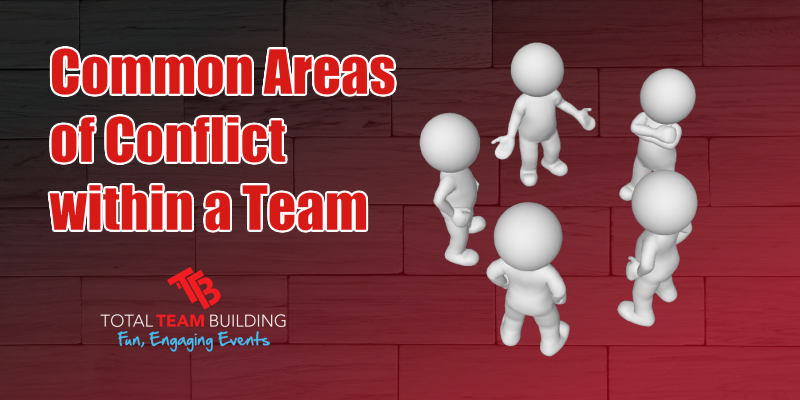 Despite the usually negative mental associations with have with conflict, it can actually be turned into a productive part of your team if you know how to handle it properly. Disagreements are not unnatural and they can produce some of the best work you have every done if you can make sure you keep the conversations critical, precise, and professional rather than allowing discussions to get personal and stubbornly opinionated. Two team members shouting or refusing to speak does a lot of harm, but two members debating the merits of an idea can be incredible for your team. At the end of the day, whether your team is effective or not, you need to set up a way to track the performance of the team and how effective it is. If you notice things going poorly, ask yourself which of the above listed elements are missing from your team’s environment and work on improving in those areas. If you are succeeding, record what you are doing and keep building on the foundations to create the best team your organization has ever had! Total Team Building specialise in teams…we facilitate fun and engaging team building activities designed to enhance teamwork, team culture, leadership, communication and collaboration. For more information about how Total Team Building can help you and your team contact us today.